Yaoundé - Julie Owono, executive director of Internet Without Borders said her organisation is preoccupied with the stability of the internet in Cameroon and do not want any internet shutdown or censorship. “I hope they [Government of Cameron] would learn from the past mistakes. They have seen that the last shutdowns did not solve anything. It rather fuelled the conflict,” she said. Shutting down the internet to fight misinformation or abusive speech is not an appropriate solution, said Melody Patry, advocacy director of Access Now. “It is important for us to find an alternative solution to these real issues than shutting down the internet,” she said, expecting a real commitment from the Cameroon authorities. Cameroonians don’t have any experience of internet shutdown during election. But their counterparts in other countries know elections are popular periods when the internet is disrupted in Africa. Last month, the Cameroonian government invited Facebook to the country to help it fight what it believed to be an emerging menace online, especially on the social media platform: the scourge of fast-spreading rumors and misinformation, or as it’s known in the shorthand today, fake news. Two Facebook officials made it to Yaoundé to meet government officials, Aïda Ndiaye, the Facebook public policy lead for Francophone Africa and Lukas Holzer, Facebook content policy head. For Cameroon, there has been a long-drawn out socio-political conflict which has left its minority English-speaking regions unsettled since 2016 and now on the brink of outright conflict. There is also the fast-approaching presidential election which will take place on Oct. 7. 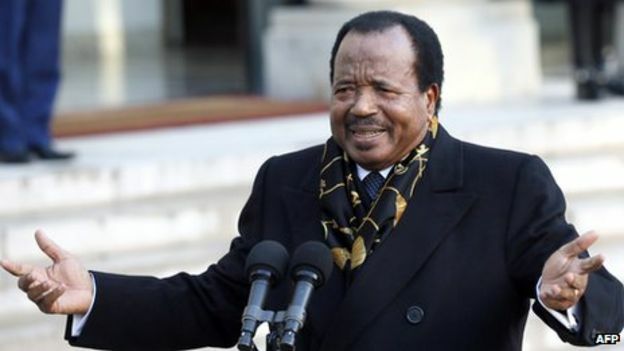 Nine aspirants, including incumbent president Paul Biya, 85, who has been in that post since 1982, are lined up in the race to head the central African nation. As the second-longest ruling president in Africa, Biya’s mere presence on the ballot guarantees the election will be contentious one way or another. As for Facebook, it has had a pretty torrid time back at home in the US and around the world—being regularly accused of allowing fake news to thrive on its platform. Facebook has been keen to be seen to be doing the right thing now. Indeed, government officials told the Facebook executives their platform was being used to mislead youths, spread fake news and hate speech. Concerns were raised over public security threats they believe the social media platform poses, as separatists seeking to establish a state called Ambazonia have mostly used Facebook for mobilization and to pass across command. It’s also worth noting Facebook also owns WhatsApp which is easily the most popular mobile communications tool in Africa and has been hugely influential in the spread of information as smartphones and modern feature phones have become more common. In fact, Facebook may run into a different set of problems in Cameroon, where there have been graphic videos of Cameroonian soldiers killing unarmed civilians in the separatist regions. Those videos, while played down by government sources, have been verified to be real by organizations including Amnesty International. The government will be hoping to be able to block or stop distribution of such material even if it counters Facebook number rules of engagement. The Facebook executives trained stakeholders on the social media company’s policies, such as how to detect fake news and report dangerous hate speech as well as abuses to them. They also held a series of on-camera meetings with different government officials before they left. Facebook’s visit had another important backdrop to it. As the tensions in Cameroon’s southwest and northwest English-speaking regions have spilled over the last 20 months, the government has tried to control the spread of information and the use of internet to organize protesters by shutting down everyone ‘s internet in those regions. The country has one the worst records with a cumulative 230 days shutdown, according to Access Now. The Facebook visit seemed to convince government officials that controlling content on the internet is less detrimental that disrupting connectivity. Free speech advocates and digital rights activists will not see things in such simple terms. Even though Cameroon’s minister of post and telecommunications, Minette Libom Li Likeng has refuted claims the government is going to shut down the internet during the Oct. 7 poll, many Cameroonians still have doubts. “One can’t believe government’s declaration. We are working on circumvention strategies should internet be cut off again,” said Gwain Colbert Fulai, digital rights advocate at A Common Future; a local organization in the city of Bamenda in the northwest of Cameroon.